Martha wrote to ask about trying to get over the hump on a real anxious horse. "Dear Sir, I was in a clinic watching a trainer laying a horse down onto the ground on his side to get the horse to trust him. One of my friends said that you can do the same thing with draping a towel over the horse's head so it can't see and has to learn how to trust the person. I have a horse that is always being hyper and can't hardly stand still and was wondering if laying him down on the ground or doing the towel training with my friend's help would help. Sincerely, Marta." I've laid a few horses down and am ashamed to say the first few times I did it, it didn't need to be done. In other words laying the horse down was for me and not for the horse. In fact, it is likely it did some good only once. One time it took me 20 minutes from start to getting him to lay down. This was about 10 years ago and once I got started and I couldn't just stop and allow that horse to understand his resistance was successful. I remember hoping nobody saw me. Not that I was embarrassed about taking so long, but just embarrassed because I realized I was doing this just for me - that the horse did not need this at this point, nor really ever would benefit from laying down. So I have to say that laying a horse down is not something I would suggest unless I was there in person to see the horse and the issues with the horse and even then it would be a high probability that I would recommend against it. As far as what you mentioned on 'towel training', I have used a shirt to do blindfold training so the horse would allow me to have control on the ground, leading him with a shirt wrapped over his head. I was doing this so I could do it again if I had to lead him through smoke or a fire, or to cover his head to protect him from hail during a storm. It came in handy a few times, actually. What I found out was that this helped the horse mentally quite a bit, making him more soft and accepting, so there is some merit or use to your described towel training, however my primary motive was to prepare him when I needed to cover his head. You do have to have an element of trust with your horse when you can drape a cover, like a rain slicker in the photos, and lead him on the ground or ride him. His steps will be tentative as, of course, his sight is taken away, his sense of hearing is somewhat degraded and some horses will have to gentled in handling their head and particularly their ears before you can start....but all goods things for the horse. But I don't think it's going to replace laying a horse down, when that is necessary, because when laying down a horse his flight ability is taken away. 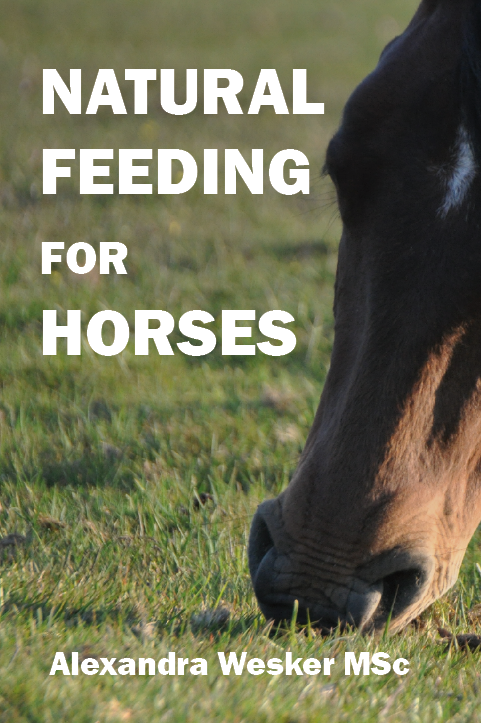 There are some other issues that can contribute to a horse appearing to be what you call hyper-active: Excessive feed and/or high sugar content in feeds; horses not being ridden much. You have to teach him through pressure and release, what you expect of him. Sometimes I have started of with a horse that can stand quiet by working him with some energy (this is the pressure) then offering him a chance to stand quiet (this is the release). Sometimes standing quiet will only last a short time, but if it is an improvement, then take it and build on it. Now I want to be real clear on this next point as it is just my observation and I mean no offense to anyone................Most people I work with are ladies. The issue with ladies is that a much larger percentage of women have more empathy for their horses than men have for their horses. But women are more likely to let their horses get away with behavioral issues perhaps viewing their horses as equal partners, as opposed to being the leader of the team. In some cases this contributes to the horse being non-respectful such as moving his feet anytime he wants to, or pushing into the handler's space, and pulling on the lead line or reins. On the other hand some men just seem to have too much ego, some of the time, wrapped up into horses, taking non-compliance from the horse personally, and are more likely to see the horse as a replaceable tool. I used to be that way, and frankly, like an alcoholic, am always cognizant that I likely have the personality where I can still regress to that. There is no doubt that some of the best horse people are women and I have no doubt there are thousands of women who are a better horsemen than I am or will be. What I can't understand is that generally women have no problem telling men what to do - my wife sure doesn't. So an example is putting the toilet seat down - so I know ladies have it in themselves to be the boss of a partnership. It doesn't mean being unfair, just means being in charge.